The WhisperFlo range of pumps have an innovative hydraulic design that moves water more efficiently and more quietly than competitive pumps. They are specially designed to ensure whisper-quiet operation. WhisperFlo has an engineered thermoplastic housing that withstands extreme heat and resists corrosion. The commercial grade motor from has a rustproof, stainless steel motor shaft and sealed bearings that never need lubrication. Engineered to provide the best performance in any size pool or pool and spa combination. WhisperFlo delivers maximum circulation efficiency at a low operating cost. 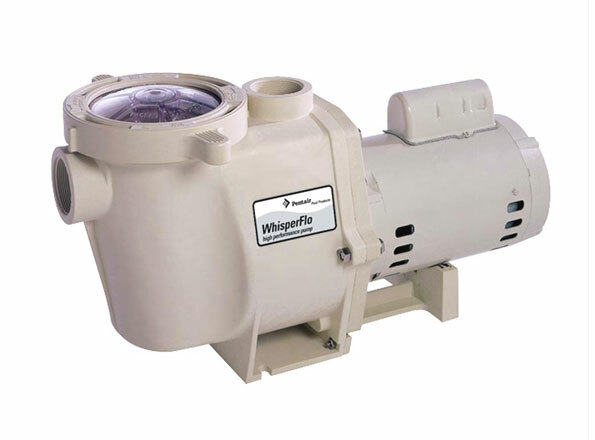 The high quality WhisperFlo pumps have a long and trouble free life requiring minimal maintenance.